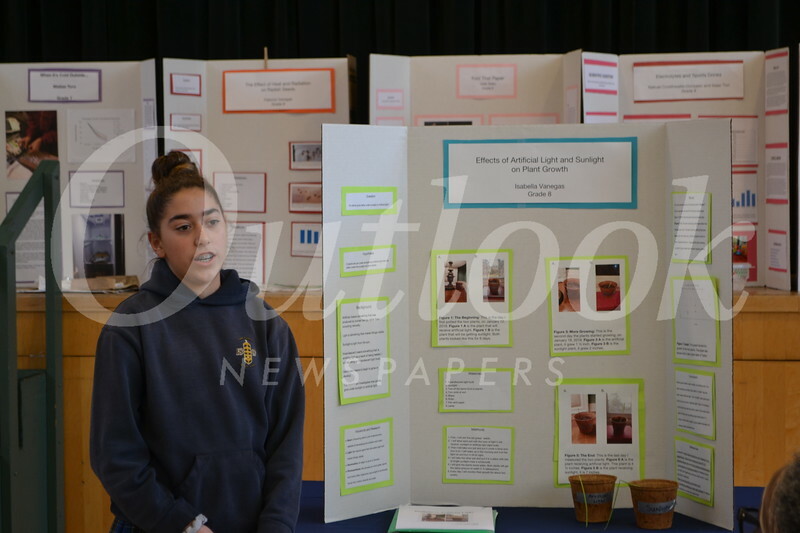 St. Andrew Catholic School recently hosted its annual Science Fair, which provided students from pre-kindergarten through 8th grade the opportunity to present their scientific knowledge in front of high school teachers, school board members and former administrators from the Pasadena Unified School District. Pre-K to 5th grade worked on class projects formulating a hypothesis from previously learned content and collecting data to analyze their results. Junior high students were judged on their content knowledge, clear presentation of results and ability to articulate information clearly to the judges. Congratulations to winners Janna Yap (first place), Matias Toro (second place), and Paloma Vanegas and Jade Telles (third place).